ARP’s timing cover bolts are available in both polished stainless steel or black oxide finish chrome moly. 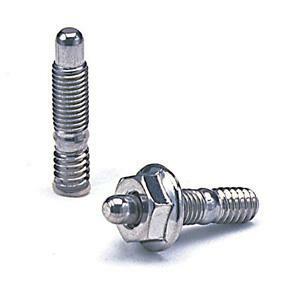 You also can choose between standard hex head bolts or compact 12-point fasteners. Also available as part of ARP’s complete Engine & Accessory kits. engine assembly. You will note that ARP studs feature a special “bullet nose” to guide the nut accurately into place. Available in black oxide finish 8740 chrome moly or polished stainless steel with hex or 12-point nuts.